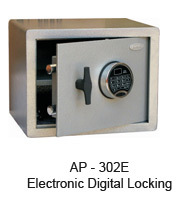 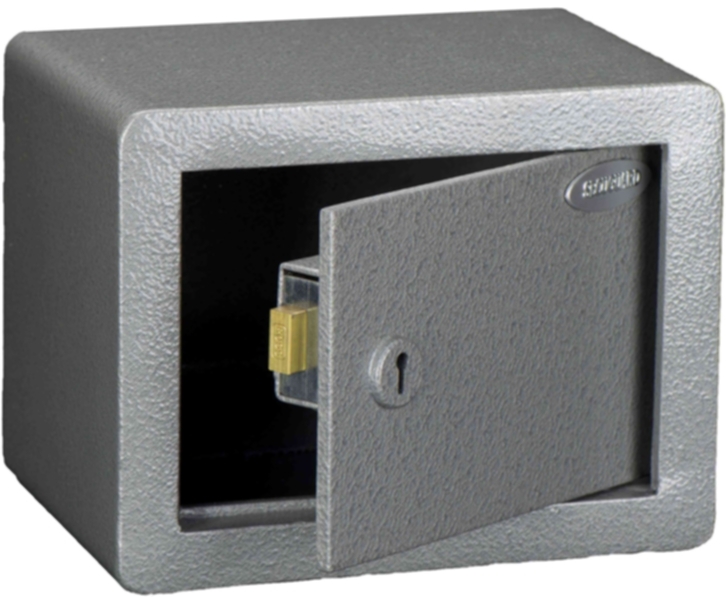 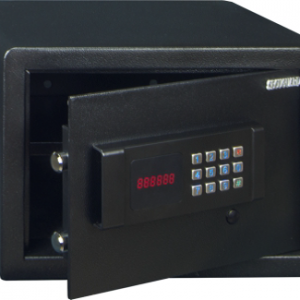 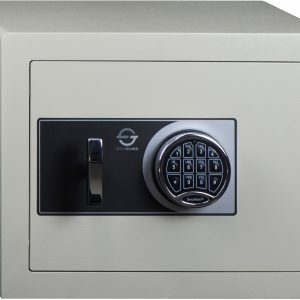 digital safe lock mounted on 6mm case hardened steel plate. Secondary re-locking device. 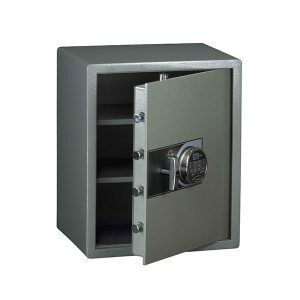 25mm solid locking bolts.